Looking for some inspiration? Why not head to one of rock's most iconic names - Carmine Appice. The Vanilla Fudge man is offering downloads of rare tracks and albums through his website. 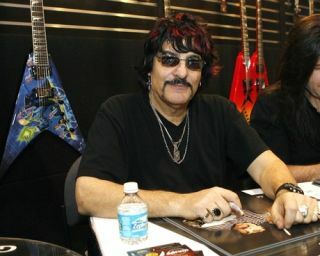 You can head to www.CarmineAppice.net and also find a brand new track, 'Monsters and Heroes' from Carmine's King Kobra project. All money raised from this track will go to the Ronnie James Dio Cancer Fund. Carmine plans to add more and more tracks each month, meaning you can build up a collection of the iconic drummer's work in no time at all.